• Tangzhuang: The general name of traditional Chinese attire for both men and women, which follows the Manchu fashion style of the late Qing Dynasty (1644-1911). 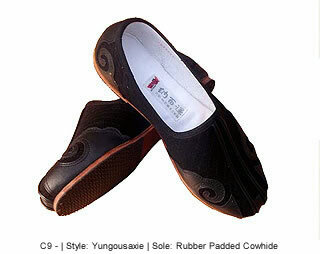 • Clean with a damp brush but DON'T soak the shoes into water. Hang to dry with soles upward but DON'T insolate. If get wet by rain and mud, DON'T twist, brush to clean and hang to dry. 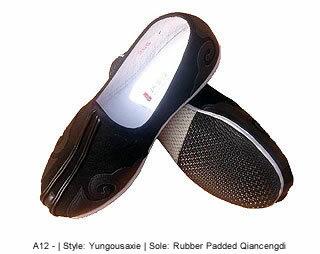 For shoe top with embroidery, DON'T brush with water and DON'T kick against harsh objects. in 8.7" 8.9" 9.1" 9.3" 9.5" 9.7" 9.8" 10.0" 10.2" 10.4" 10.6" 10.8" 11.0" 11.2"
Conversion chart is for reference only, it is more accurate to figure out the correct shoe size from foot length. 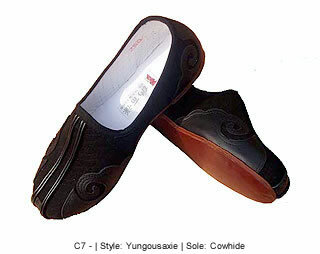 This product was added to our catalog on Friday 30 March, 2007.